Assaying in vitro β-cell function using isolated mouse islets of Langerhans is an important component in the study of diabetes pathophysiology and therapeutics. While many downstream applications are available, this protocol specifically describes the measurement of intracellular cyclic adenosine monophosphate (cAMP) as an essential parameter determining β-cell function. Neuman, J. C., Truchan, N. A., Joseph, J. W., Kimple, M. E. A Method for Mouse Pancreatic Islet Isolation and Intracellular cAMP Determination. J. Vis. Exp. (88), e50374, doi:10.3791/50374 (2014). Uncontrolled glycemia is a hallmark of diabetes mellitus and promotes morbidities like neuropathy, nephropathy, and retinopathy. With the increasing prevalence of diabetes, both immune-mediated type 1 and obesity-linked type 2, studies aimed at delineating diabetes pathophysiology and therapeutic mechanisms are of critical importance. The β-cells of the pancreatic islets of Langerhans are responsible for appropriately secreting insulin in response to elevated blood glucose concentrations. In addition to glucose and other nutrients, the β-cells are also stimulated by specific hormones, termed incretins, which are secreted from the gut in response to a meal and act on β-cell receptors that increase the production of intracellular cyclic adenosine monophosphate (cAMP). Decreased β-cell function, mass, and incretin responsiveness are well-understood to contribute to the pathophysiology of type 2 diabetes, and are also being increasingly linked with type 1 diabetes. 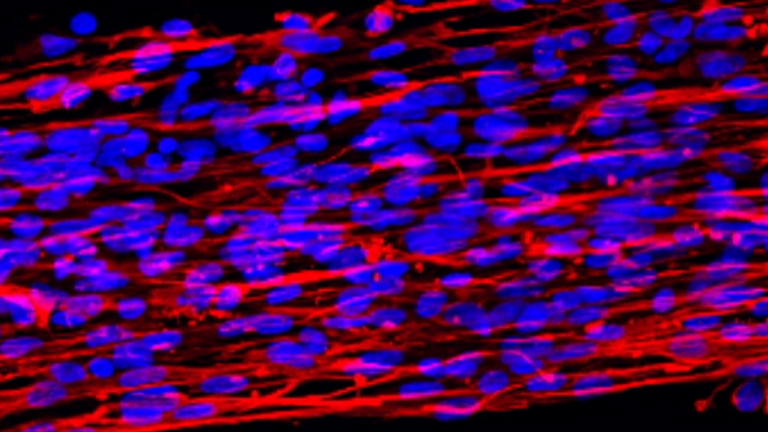 The present mouse islet isolation and cAMP determination protocol can be a tool to help delineate mechanisms promoting disease progression and therapeutic interventions, particularly those that are mediated by the incretin receptors or related receptors that act through modulation of intracellular cAMP production. While only cAMP measurements will be described, the described islet isolation protocol creates a clean preparation that also allows for many other downstream applications, including glucose stimulated insulin secretion, [3H]-thymidine incorporation, protein abundance, and mRNA expression. The strict maintenance of euglycemia is imperative to prevent morbidities such as neuropathy, nephropathy, and retinopathy, which are all hallmarks of the pathology of uncontrolled type 1 and 2 diabetes1. Reduced β-cell function and mass in both type 1 and 2 diabetes perturb blood glucose concentrations2. Whereas immune-mediated type 1 diabetes results from a devastating loss of insulin-producing β-cells, impaired β-cell insulin secretion and peripheral insulin signaling in type 2 diabetes together promote hyperglycemia, dyslipidemia, and increased hepatic glucose production, which eventually results in both loss of β-cell mass and insulin secretory capacity from individual β-cells3. Understanding the underlying β-cell mechanisms in the progression of type 1 and 2 diabetes will hopefully give rise to novel therapies to prevent and treat these diseases. In vitro tissue culture models, such as the INS-1 and MIN6 immortalized β-cell lines, can be useful tools for understanding specific β-cell functions. However, the interactions among the different cell types within the islet may themselves regulate β-cell function. For example, the paracrine influence of glucagon (released from α-cells) and somatostatin (released from δ-cells) in increasing and decreasing insulin secretion, respectively, demonstrates the importance of cell cell proximity in the endocrine response4. Moreover, gap junctions between β-cells potentiate the release of insulin5. Furthermore, although strides have been made in generating insulinoma lines that better replicated the physiological response of isolated islets to glucose (e.g., the INS-1- derived 832/13 and 832/3 cell lines), their glucose responsiveness still differs from normal rat islets6,7. Moreover, the response of these clonal insulinoma cell lines to glucagon-like peptide-1 (GLP-1) agonists can differ dramatically from one another, as well as from normal islets6. Therefore, immortalized cell lines may not represent the best model for assaying agents that impact on cAMP production. In contrast to the insulinoma-derived cell lines, studying β-cell function solely in whole animal models offers its own set of complications. One of the biggest challenges in working with endocrine tissue is measuring the precise concentration of hormone released. Specifically, the liver plays a major role metabolizing insulin, and the pancreas blood flow goes directly to the liver. Thus, a plasma insulin measurement may not accurately portray the amounts of insulin being secreted from the pancreas itself or the impact of different treatments on the rate of insulin secretion8. Furthermore, renal metabolism of glucagon may limit the reliability of glucagon output from islet α-cells9. Therefore, isolating primary mouse islets for in vitro experimentation provides a more precise understanding of how the islet is responding to specific stimuli to complement measurements made in vivo. The present protocol for the isolation of mouse islets is a well-established protocol used by a number of groups (with slight modifications that may help to increase success)10,11. In addition, the determination of cAMP production allows for a direct read-out of the incretin responsiveness of the β-cells. In conjunction with cAMP measurement, protein content and insulin secretion can also be quantified from the same cAMP sample prep, helping to determine whether a defect in β-cell function lies proximal or distal to cAMP10. The final cAMP content and insulin secretion application in this protocol can be a very powerful tool for understanding the influence of pharmaceutical and dietary constituents, among others, on cAMP and insulin secretion. In addition to stimulation from glucose alone, other compounds can be used to measure changes in cAMP and insulin secretion10,11. Finally, although insulin is the primary hormone we assay from isolated islets, other hormones, such as glucagon and somatostatin, as well as cytokines, eicosanoids, and cyclic adenosine monophosphate, can also be measured, either by a transient stimulation assay or by quantification of their levels in culture medium12. Finally, although outside of the scope of this manuscript, islet isolation with the described collagenase isolation method allows for islet preservation so that many other downstream applications may be pursued, such as islet transplantation, RNA isolation for quantitative real time PCR or microarray analyses, protein isolation for Western blotting, islet embedding and immunofluorescent imaging, and [3H]-thymidine incorporation as a measure of islet cell replication, some of which have been described in previous JoVE articles13-16. Overall, following the islet isolation procedure described in the protocol may provide a researcher with important and useful information for developing therapies and promoting drug discovery aimed at enhancing β-cell function. All animal experiments were executed in compliance with all relevant guidelines, regulations and regulatory agencies. The protocol being demonstrated was performed under the guidance and approval of the Institutional Animal Care and Use Committee (IACUC) of the University of Wisconsin-Madison. The method of euthanasia in this protocol is exsanguination under Avertin anesthesia (for a review of alternatives, see Discussion). To make Avertin, add 0.625 g (1.25% or 44.2 mM) of 2-2-2 tribromoethanol to 1.25 ml of 2-methyl-2-butanol in a 15 ml conical tube and heat at 37 °C for 20-30 min. Vortex the solution on high for 10-15 sec at a time to fully dissolve the 2-2-2 tribromoethanol. Once fully dissolved, add the solution to 48.75 ml of double distilled H2O, filter through a 0.45 μm filter into a new 50 ml conical tube, wrap the 50 ml conical tube in aluminum foil and store at 4 °C for up to one month. Bring the tube to RT before injecting mice. To make Hanks’ Balanced Salt Solution (HBSS), make up 1 L 1x HBSS from a 10x stock (Gibco, Life Technologies, Carlsbad, CA) in double distilled H2O, add 0.35 g (4.2 mM) NaCHO3, and store at 4 °C for up to 1 month. 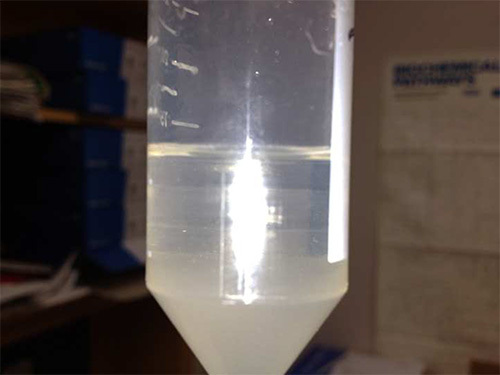 For each mouse, 105 ml of this solution (plus 5-10 ml extra for pipetting error) will be required for islet isolation. Islets are very susceptible to hypoxic damage; therefore, HBSS is bubbled with 95% O2/ 5% CO2 to mimic the concentrations of O2 in the blood. Special gas mixes may be purchased and a bubbling station set up with a Pasteur pipette attached to flexible tubing. After bubbling the required amount of HBSS with 95% O2/ 5% CO2 for 15 min, add 0.02% RIA grade BSA (bovine serum albumin) by volume and keep on ice for the remainder of the islet isolation. For the Ficoll preparation, weigh out 32.5 g of Ficoll in a 400 ml beaker, add 80 ml of HBSS, and stir at 500-700 rpm for 30 min. Once dissolved, pour the Ficoll solution into a 250 ml graduated cylinder and add HBSS to the 130 ml mark on the graduated cylinder to create a 25% Ficoll solution. Cover the top of the graduated cylinder with two portions of Parafilm® M (Pechiney Plastic Packaging Company, Chicago, IL) and shake vigorously several times. For a 23%, 20.5%, and 11% Ficoll solution, add 27.6, 24.6, and 13.2 ml of the 25% Ficoll, respectively, to 50 ml conical tubes. Then, bring each solution up to a total of 30 ml with HBSS and shake well to mix. All four Ficoll solutions should be stored at 4 °C and are good for up to 2 weeks. Collagenase solution that is suitable for isolating active islets is prepared from collagenase isolated from Clostridium histolyticum (Materials table). Each lot needs to be tested for enzyme efficiency. Typically, collagenase is used at 0.3-0.5 mg per ml of HBSS. Utilizing enzyme concentrations in that range (usually 3 different concentrations), determine the quality and quantity of isolated islets from age-matched mice or littermates to set the working enzyme concentration. Once the correct concentration is determined, each mouse requires 35 ml of collagenase in HBSS for the entire isolation protocol. Swirl the collagenase in HBSS to dissolve. Immediately prior to the surgery, pre-load a 5 ml syringe with collagenase solution, place the cannula on and remove air bubbles, and leave on ice until needed. The islet culture media for O/N incubation is a supplemented RPMI 1640 media. For the stock solution, dissolve one RPMI 1640 packet (Gibco, New York) in 1 L of double distilled H2O and add 1.19 g HEPES (5 mM) and 2 g NaCHO3 (24 mM). Adjust the pH to 7.4, filter sterilize, and store at 4 °C in the dark. For the supplemented media, add 10% FBS and 100 IU/100 μg/ml penicillin/streptomycin, respectively, to the stock RPMI 1640 media. If a different glucose concentration is desired, glucose-free RPMI 1640 media may be used and a specific concentration of glucose may be added. For a stock Krebs Ringer Bicarbonate Buffer (Krebs), add the following ingredients to double distilled water at the following concentrations: NaCl (118.41 mM), KCl (4.69 mM), MgSO4 (1.18 mM), KH2PO4 (1.18 mM) , NaCHO3 (25 mM), HEPES (5 mM), and CaCl2 (2.52 mM) at pH 7.4. CaCl2 should be added last and this solution can be stored at 4 °C for up to 2 weeks. To make a working stock of Krebs, first gas with 95% O2/182 5% CO2 for 10-15 min with a Pasteur pipette at 37 °C followed by the addition of 0.5% RIA grade BSA by volume. Next, glucose is added to the desired concentration for the in vitro assay. Slightly blunt the tips of 30- and 27-G needles using a sharpening stone to round off the sharp point. Put a 45 degree bend in the needle about ¼ of an inch from the tip using a pair of pliers. Be careful not to squeeze too hard, which will close off the internal diameter of the needle. Cut the 3/0 silk suture thread into approximately 4-inch lengths, one for each mouse. Cover the dissecting microscope base with plastic wrap and tape down. Cut several pieces of absorbent bench paper, approximately 3 x 5 inches in size, for at least 2 per mouse. Fill a 1 ml syringe with 1 ml Avertin. Inject the avertin solution intraperitoneally at about 40 μl/gram of body weight. After the mouse no longer responds to tail or hind foot pinches, carefully transfer it to the dissecting microscope work station. With the mouse in the supine position and its head facing distally, spray the mouse with 70% aqueous ethanol. Be sure to use an adequate amount of 70% ethanol to limit the amount of fur in the exposed thoracic cavity. Pinch the fur and skin of the mouse between the two hind legs and make an initial cut through the epidermis, dermis and underlying membrane. While still pinching the skin and underlying membrane, cut toward the front limb on both sides of the mouse taking care to avoid cutting any internal organs. Fold the skin and membrane flap over the ribcage and remove the xiphoid process to allow easier access to the pancreas for inflation. Reorient the mouse with the head facing proximally and move the internal organs toward the right hand side of the work station to reveal the descending aorta. Unless blood tissue is to be collected, the descending aorta can be cut to complete euthanization. Soak up the excess blood with bench paper or a Kimwipe for easier access to the common bile duct. With a dissecting microscope, reposition the small intestine so the common bile duct forms a perpendicular line with the head of the mouse. Take a forceps and grasp the small intestine and find the Sphincter of Oddi (Sphincter of ampulla) at the end of the common bile duct, which splays out onto the small intestine from the bile duct, forming a white triangle on the pink intestine. Once the Sphincter of Oddi has been located, take a #5 Dumont forceps and slide the tip underneath the common bile duct as close to the small intestine as possible, being careful not to pierce the duct. After piercing through the small intestine and connective tissue, use the tip of the Dumont forceps to grasp the suture and pull it under the common bile duct. Tie off the common bile duct as close to the Sphincter of Oddi as possible, making sure the knot is taut to prevent leakage. Grasp both ends of the suture and pull towards the tail to put some tension on the common bile duct. Using a free hand, make a small incision with the micro scissors in the common bile duct just above the last bifurcation into the liver. Note: It is important to not cut too close to the Sphincter of Oddi as this could result in a partial inflation of the pancreas and avoid cutting through the common bile duct as it will also result in a poor inflation. While holding the two ends of string with the common bile duct taut, remove the syringe/cannula that has been pre-loaded with 5 ml collagenase solution from the ice bucket, set down the syringe, and insert the blunted 30 G needle into the cut common bile duct, being careful not to pierce the through the wall of the duct. If the 30 G needle is not wide enough for the bile duct to form a seal around, remove it and replace with the blunted 27 G needle. While holding the needle in place, release the suture and pick up the 5 ml syringe. Slowly depress the plunger of the syringe. Note: If the needle has been successfully inserted into the common bile duct, it will expand. Continue to depress the plunger slowly and letting off in a pulsatile fashion until the first part of the pancreas inflates, followed by gentle constant pressure until the pancreas no longer inflates. Note: Most pancreases hold 3-5 ml before starting to leak. Also, a successful inflation will have even distribution of exocrine tissue and the part of the pancreas on top of the stomach will be inflated. Remove the needle from the common bile duct and set off to the side. Take a forceps in one hand and a curved scissors in the other. Using the forceps, grasp the small intestine at the Sphincter of Oddi. With the scissors closed, use the tip to separate part of the pancreas from the small intestine. Spread the scissors apart to widen the gap between the small intestine and the pancreas. Place the “V” of the scissors where the small intestine and pancreas attach to each other at the right hand side of the gap that was just made. Using the forceps gently pull the small intestine past the scissors to remove the pancreas. Keep working down the small intestine to the pink connective tissue. At this point, pick up the small intestine near where it attaches to the stomach and snip the pancreas away from the rest of the small intestine. Note: Take care not to snip the pancreas as it may start to deflate. Gently grab the part of the pancreas attached to the stomach with forceps (flat forceps work best). While pulling up gently on the pancreas, use the curved scissors to snip away at the connections between the pancreas and stomach. Locate the spleen and hold it with the forceps above the pancreas. Take the curved scissors and cut away the connections between the spleen and the pancreas. Find where the pancreas is attached to the large intestine. Pick up the large intestine with forceps and use the tip of the scissors to poke through. Spread the scissors apart as before to generate a gap between the large intestine and the pancreas. Hold up the large intestine with forceps: this will result in the pancreas falling away, exposing its precise connections to the large intestine. Snip away the remaining connections. Find the pink connective tissue attached to the pancreas and small intestine and cut as close to the pancreas as possible. Note: If piercing the pancreas is a concern, it is advised to cut closer to the small intestine as the connective tissue will be filtered out in later steps. Grab as much of the pancreas as possible and lift it gently. With curved scissors, cut away the remaining connections between the pancreas and the thoracic cavity to fully remove the pancreas. Note: The pancreas should still be inflated if removed correctly. Store the removed pancreas in ~2.5 ml of collagenase solution in a 50 ml conical tube on ice until all other pancreases have been inflated and removed for the experiment. Place the 50 ml conical tubes upright in a 37 °C shaking water bath capable of oscillating at 220-250 rpm, with the shaker turned off. Gas each 50 ml conical tube with 95% O2/5% CO2 for 5 min with a Pasteur pipette. Immediately transfer the tubes to a centrifuge at room temperature for a quick spin. Bring the centrifuge up to 1,500 rpm (400-500 g) and turn off immediately. Using a vacuum trap, aspirate about 22.5 ml of the collagenase solution without disturbing the pellet. Wash with 10 ml HBSS and vortex gently to break up the pellet. Perform another quick spin at room temperature up to 1,500 rpm (400-500 g). Aspirate about 10 ml of the solution, again without disturbing the pellet. Wash with another 10 ml of ice cold HBSS and vortex gently to once again break up the pellet. Repeat the quick spin and aspirate 10 ml of the solution. Gently vortex the pellet in the remaining 2.5 ml of HBSS solution. Pour solution through a 1,000 μm mesh into a new 50 ml conical tube. This will remove the large tissue debris not digested by the collagenase. Rinse the old 50 ml conical tube with 2.5 ml of ice cold HBSS. Use a Pasteur pipette to rinse the sides of the tube thoroughly before transferring the 2.5 ml of HBSS through the mesh into the new 50 ml conical tube. Perform another quick spin at room temperature at 1,500 rpm (400-500 g) to pellet the tissue. Aspirate all of the HBSS by tilting the tube toward the vacuum trap. Note: It is very important to not disturb the pellet as this will result in the loss of islets. If the pellet is loose or starts to move toward the vacuum trap, stop aspirating the solution and re-pellet the tissue and then continue to aspirate the remaining solution. Once all of the HBSS has been removed, add 4.8 ml of 25% Ficoll solution and vortex to break up the pellet. Carefully layer 2.4 ml of 23% Ficoll solution on top of the 25% Ficoll solution by adding the 23% Ficoll solution to the side of the 50 ml conical tube. To ensure even layering, rotate the 50 ml conical tube when adding the Ficoll solution. Repeat the layering process for 20.5% and then 11% Ficoll solutions. Note: If 4 distinct layers are not present, add HBSS up to the 50 ml mark and invert the tube 4-6 times or until the Ficoll gradient no longer exists. Re-pellet the tissue and retry steps 7.14-7.16. Spin the 50 ml conical tube at RT at 1,820 rpm (800 g) for 15 min. Pour all of the Ficoll into a fresh 50 ml conical tube, taking care to leave the pellet of exocrine tissue behind. Add ice cold HBSS up to the 50 ml mark and invert the tube 4-6 times to mix the Ficoll and HBSS together. Spin the 50 ml conical tube at RT at 1,820 rpm (800 g) for 5 min. Carefully aspirate most of the HBSS/Ficoll mixture using a vacuum trap. Do not disturb the pellet as it is loose and can be aspirated easily. Take a Pasteur pipette and transfer the pellet to a disposable culture tube. Add 5 ml of picking media (i.e. supplemented RPMI 1640 or Krebs Ringer Bicarbonate Buffer) to the disposable culture tube. Note: The picking media will vary depending on downstream applications. Let the islets settle to the bottom of the culture tube for 5 min. Transfer them using a Pasteur pipette to a 15 mm by 60 mm Polystyrene Petri dish. Note: It is important to use a Petri dish as these are not treated and will prevent the islets from adhering to the dish. In a separate 15 mm by 60 mm polystyrene Petri dish, add 5 ml of mouse islet culture media (100 ml RPMI 1640 Stock Media, 10 ml Heat Inactivated FBS, 1 ml Pen/Strep; filter sterilized). With the assistance of a dissecting microscope with backlight capability, use a P-20 pipette to pick the islets into the Petri dish containing islet culture media, taking care to avoid transferring acinar tissue debris. When backlit, islets will appear brownish-gold and their outer membrane may glisten, while acinar tissue will appear light grey and dull. If the islet preparation contains a large amount of debris, it is advisable to hand-pick islets twice into fresh medium. Reducing debris contamination will limit islet clumping after an overnight incubation. Adding DNAse (3,000 U/ml) to the digestion buffer may also help to limit islet clumping (J.W.J., personal observation). Note: It is important to count the number of islets isolated to plan for downstream experiments. Incubate the islets O/N in an incubator set to 37 °C with 5% CO2. Label 1.7 ml microfuge tubes, one for each replicate of the assay. Note: cAMP assays should have at least duplicates for each treatment condition, but more replicates per treatment are preferred. After gassing the Krebs Ringer Bicarbonate Buffer for 15 min with 95% O2/5% CO2 with the Pasteur pipette, add 0.5% RIA grade BSA and a final glucose concentration of 1.7 mM (preincubation solution). Then, add 1 ml of the freshly gassed Krebs to each microfuge tube. Two ml of Krebs is required per tube for the pre-incubation and treatment time points; however it is recommended to prepare at least 5-10 ml extra. Swirl the islets to the middle of the Petri dish, and using a P-20 pipette, hand-pick the islets to a new 15 mm by 60 mm polystyrene Petri dish containing 5 ml of the preincubation solution to wash the glucose-containing culture medium from the islets. The cAMP assay kit used is the GE Healthcare cAMP Direct BioTrak EIA. The prococol used is a modification of that described for “Intracellular cAMP measurement using the non acetylation EIA procedure with the novel lysis reagents,” and has been optimized for use with the minimum number of islets per tube, allowing increased numbers of treatment conditions and technical replicates. Using a P-20 pipette, transfer at least 13 islets into each tube from step 9.2, maintaining islet size consistency between tubes, with 1 ml pre-incubation buffer. Note: Increasing the number of replicates is more beneficial than the number of islets per tube. However, if there are enough islets to increase the number of islets per tube evenly, it is advisable to do so, up to 25-50 islets per tube. With the microfuge tube caps open, transfer to a 37 °C incubator set at 5% CO2 and incubate for 45 min to normalize the insulin secretion of all islets to a baseline level. While the samples are incubating, prepare the treatments (i.e. 8 mM, 11.1 mM, 16.7 mM glucose, etc.) in the gassed Krebs from step 9.2. in 15 ml conical tubes, with 1 ml extra to account for any pipetting error. Add 3-isobutyl-1-methylxanthine (IBMX) to a final concentration of 200 μM. IBMX is a general phosphodiesterase inhibitor that blocks the degradation of cAMP, allowing cAMP to accumulate in the cell as it is produced. (Note: This is a true cAMP production assay. See the discussion section for instances when measuring cAMP production may not be desirable. If IBMX is left out of the assay, more islets will be required per tube in order to obtain cAMP data in the linear range of the standard curve). After the 45 min pre-incubation, remove the microfuge tubes from the incubator, cap and pulse-vortex each sample (less than 0.5 sec). This is to mix up the insulin gradient that has likely been generated due to the islets being concentrated in the bottom of the tube. Care must be taken not to vortex too harshly, as this could negatively impact the islet stability (Note: Capped tubes with islets may be gently flicked or inverted if it is not possible to pulse-vortex gently. These options will add time to the assay, which should be considered when planning the experiment). Transfer each tube to a table top centrifuge (RT) and spin until the islets reach 10,000 rpm (7,000-7500 g) and then turn off immediately. Use a P-1000 pipette to remove most of the Krebs in each microfuge tube, leaving approximately 10-15 μl of Krebs on the islet pellet. Use a P-20 pipette to remove the portion closest the islet pellet. If pellet is disturbed, pipette the Krebs back into the tube and re-spin. (Note: If the experimenter finds it too difficult to remove all of the Krebs from the islet pellet without disturbing it, the last 10-15 μl may be left on and accounted for in the total volume later in the protocol. Obtain an adequate amount of liquid nitrogen in an insulated container to snap freeze the samples after incubation. Take the samples out of the incubator, cap, vortex quickly (less than 0.5 sec) spin the microfuge tubes in a table top centrifuge (RT) up to 10,000 rpm (7,000-7500 g), and then shut off immediately. If insulin or another metabolite is a desired downstream application, use a P-1000 pipette to collect an aliquot of medium in a microfuge tube and store at -20 °C until further analysis. If stimulation media is not being collected, it may be discarded. (Note: IBMX is a strong potentiator of glucose-stimulated insulin secretion (GSIS). Therefore, GSIS results obtained from cAMP stimulation medium may not accurately represent the true effect of specific treatments on GSIS, especially if these effects are subtle). Repeat step 9.9 to remove as much stimulation medium as possible without disturbing the islet pellet. Snap freeze the islet pellet in liquid nitrogen once there is less than 10-15 μl of Krebs left on the islet pellet. Once all the samples have been snap frozen, store at -80 °C until cAMP measurement. On the day of cAMP determination, prepare the novel lysis reagents according to the manufacturers’ protocol. Add 200 ml lysis reagent 1B to each microfuge tube and vortex at top speed for 30 sec. Let the tubes sit on ice for 10 min, vortexing every 2 min for 30 sec. (Note: The protocol recommends carrying out a microscopic analysis with trypan blue to ensure cell lysis, but this is not performed for islets). Prepare the working standards and set up the EIA microplate exactly as described in the manufacturer’s protocol. After the enzyme substrate has been incubated with the microplate for 30 min, perform the optional 1.0 M sulfuric acid step, and determine the absorbance of the microplate wells at 450 nm using a microplate reader. Cyclic AMP results will be recorded as fmol/well. This should be normalized to the total volume of the original sample (200 μl + any residual Krebs left on the islets from step 9.9). Next, results can either be normalized to the total number of islets, giving fmol cAMP produced/islet, or lysate samples can be subjected to bicinchoninic acid (BCA) protein assay to normalize the results to total cellular protein (giving fmol/μg protein). The latter is recommended when islet sizes are inconsistent between samples, and can be a surrogate for islet size. The Pierce BCA protein assay kit has been used with success in this protocol, and requires only 25 ml of sample. The BSA standards should be prepared in lysis reagent 1B from the cAMP assay kit. To ensure a high islet yield during isolation, surgical techniques outlined in the protocol should be followed closely. Although the techniques presented here will be tailored to each laboratory, there are a few critical steps that will lead to a successful isolation. In order to make the common bile duct easily accessible, it is recommended that the organs be displaced to the right side of the mouse (Figure 1). Moreover, this will allow the pancreas to inflate with a smaller amount of resistance since there will be less weight restricting expansion. Another critical step to maximize islet yield is the ligation of the common bile duct close to the Sphincter of Oddi (Figures 2A-C). Ligating further away from the Sphincter of Oddi may result in a partial inflation by reducing the amount of collagenase solution entering the major pancreatic duct. Also, a taut knot will prevent collagenase solution from entering the intestine. A proper incision into the common bile duct should be located far enough away from the bifurcation from the liver but close enough for maximal pancreatic inflation (Figure 3). 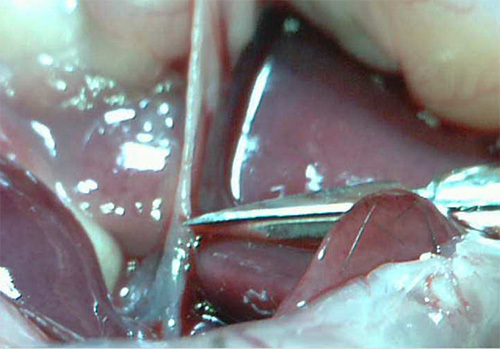 An incision made too close to the bifurcation may lead to the flow of collagenase solution into the liver. 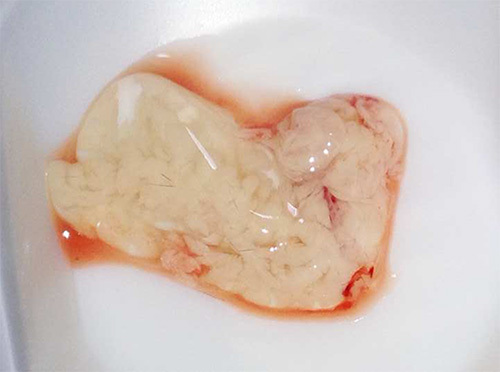 When collagenase solution enters the liver, it will lose its dark-red color and begin to turn whitish. If this occurs, remove the needle and try another cannulation further from the liver. Additionally, the common bile duct incision should only be part way through the duct (about 50%). Completely shearing the duct will make it difficult to seal the duct around the needle tip. A proper incision will result in complete closure of the duct around the needle, producing enough pressure to both fill the common bile and pancreatic ducts (Figure 4A). It is also important to ensure the needle has entered the common bile duct and not the surrounding sheath. Once the needle has been inserted properly, 5 ml of the collagenase solution should fill the pancreas, creating a marbleized tissue. The pancreas removal process should be performed delicately to promote maximal islet yield (Figure 5). Piercing the pancreas may result in a deflation and loss of collagenase solution, reducing the islet yield. Cutting the pancreas close to the connective tissue and other organs will prevent deflation. Also, harvesting other tissue, such as connective tissue, along with the pancreas is not an issue, as it will be removed in subsequent steps. A properly removed pancreas will remain inflated after excision prior to further collagenase digestion (Figure 6). Distinct layers in the Ficoll gradient will lead to a clean islet preparation and create an easier environment for picking islets (Figure 7). The gradient ensures the separation of islets from cell debris and connective tissue that remains after digestion and mesh screen filtering. Furthermore, this step is crucial for selecting clean, healthy islets for downstream applications. Specifically, healthy islets will be spherical in shape and have a golden brown to dark brown center (Figure 8). Note: Islets from diabetic mice will be much paler in color, corresponding with decreased insulin content, and can be better distinguished from acinar tissue by their shape, glossiness, and their visible network of capillaries. 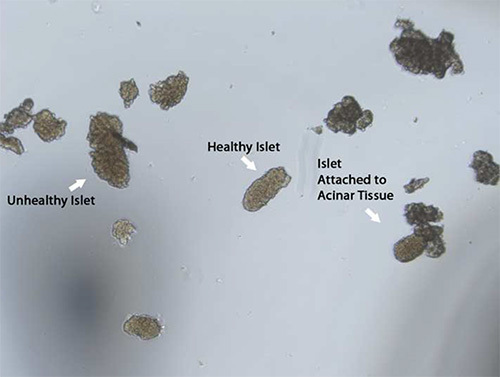 Any islets connected to acinar tissue should not be used and should be discarded. Moreover, larger islets that develop a dark, necrotic center after an overnight incubation should be discarded as they do not function properly. As described in the introduction, cAMP production is an important component of β-cell function; in particular, with regards to incretin action. One benefit to the protocol described in this method is that one can simultaneously obtain cAMP production and glucose-stimulated insulin secretion data. Typically, the impact of an agent on cAMP production directly correlates with its impact on insulin secretion17. For simple experiments, this rule holds true fairly well (see Figure 9 for an example). In the present protocol, we use IBMX (a phosphodiesterase inhibitor) in our treatments to prevent the catabolism of cAMP, giving the total production of cAMP. Figure 1. Displacing internal organs. Positioning the internal organs to the right side of the mouse creates an easier work environment and allows the pancreas room to expand during inflation. Figure 2. Tying off the Sphincter of Oddi (A-C). Depicted here is the entrance of the common bile duct to the small intestine at the Sphincter of Oddi. Tying off the common bile duct at the Sphincter of Oddi prevents collagenase solution from entering the intestines. Figure 3. Common bile duct incision. It is best to make a cut in the common bile duct slightly distal to the bifurcation into the liver to prevent flow of the collagenase solution into the liver. Figure 4. Cannulation of the common bile duct by a blunted 30 G needle and pancreas inflation. A) The 30 G needle is inserted into the common bile duct, creating a seal around the needle tip. It is important to check and to note the needle has been inserted into the common bile duct and not the surrounding sheath. A properly inserted needle will have an opaque appearance. B) A proper pancreas inflation will fill with about 3-5 ml of collagenase solution and have a marbled appearance. Figure 5. The removal of the pancreas. A) The initial incision made with a curved pair of scissors occurs near the Sphincter of Oddi. The initial removal begins in the direction of the stomach being careful not to puncture the pancreas. B) The final step is removing the pancreas from the connective tissue on the small intestine and the last few connections to the peritoneal cavity. Figure 6. The inflated pancreas. A successful pancreas removal will yield a pancreas perfused with the collagenase solution. Poor excision will leave a smaller, deflated pancreas. Figure 7. Four layers of the Ficoll gradient. The four distinct layers represent a different Ficoll density from 25% at the bottom to 11% at the top. The distinct layering is imperative to remove debris and exocrine disuse from the islets. Figure 8. Islet selection. Healthy islets tend to have a golden brown to dark brown color with a round spherical shape and are not connected to acinar tissue. After an overnight incubation (16-20 hr) a necrotic center develops in larger islets, which should be excluded from experiments. Figure 9. Representative high-quality cAMP production results, demonstrating that secreted insulin can be measured from the cAMP stimulation medium. A) Isolated islets from wild-type or gene knockout mice were stimulated with 11.1 mM glucose and intracellular cAMP production was measured and normalized to the total cellular protein. B) Secreted insulin was measured using a standard insulin ELISA, and also normalized to total cellular protein. In many cases, the change in cAMP production correlates directly with the augmentation in glucose stimulated insulin secretion. n=3 for each group; *, p < 0.05. This figure was adapted from research published in Kimple et al10. With the prevalence of diabetes projected to affect 7.7% of the world’s population, the requirement of novel research techniques is imperative to both understand and treat diabetes18. The present islet isolation is a well-established protocol used for in vitro experimentation and has been presented previously with slight modifications11,14,16. Although insulin secretion is a common downstream application for isolated islets, focusing on upstream constituents, such as cAMP, may help delineate mechanisms potentiating insulin production and secretion. The choice of euthanasia must be made thoughtfully to ensure both the humane treatment of laboratory animals as well as the integrity of experimental measurements. For islet isolation, exsanguination under anesthesia is our preferred method for euthanasia as it allows islet perfusion with oxygenated blood for the maximal amount of time prior to pancreas inflation. CO2 inhalation is a poor choice for euthanasia, as if it is performed according to humane protocols, it exposes the islets to poorly-oxygenated blood for at least 5-6 min before the procedure can begin. 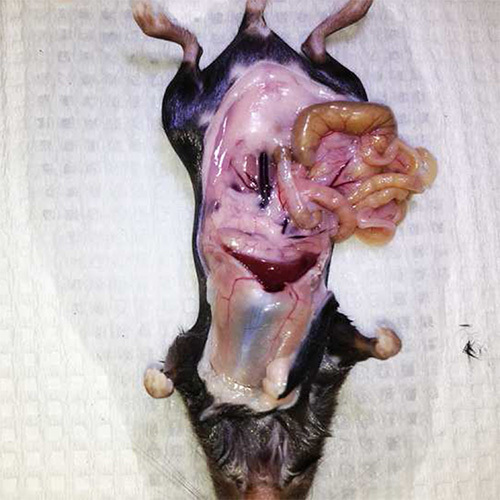 Cervical dislocation without anesthesia could be an acceptable method with scientific justification, but this would require significant experience with both the method of euthanasia and the mouse dissection and pancreas inflation procedure in order to ensure humane death and preservation of islet function. In choosing exsanguination under anesthesia, Avertin is the preferred anesthetic in this protocol. The particular choice of Avertin is that it is a fast-acting and deep anesthetic with many advantages over other commonly-used anesthetics. First, Avertin does not dilate vasculature and induce nitric oxide release, as does isoflurane19. Pancreatic islets are highly vascularized, and thus their biology may be negatively affected by isoflurane exposure. Second, Avertin does not excessively raise blood glucose levels in the absence of glucose injection, as can ketamine/xylazine, which has been shown to raise blood glucose by 167% up to an hour after injection20. Finally, the therapeutic range for pentobarbital is very narrow in mice21, increasing the chance of hypoxic damage to the islets. In the present protocol, the use of suture thread to ligate the common bile duct near the Sphincter of Oddi is utilized as an alternative to a hemostat. The thread method allows for greater maneuverability of the common bile duct and helps position the needle for cannulation. However, the use of thread during this step requires holding two objects (thread and syringe) whereas the hemostat allows a free hand to help position the bile duct. Both isolation techniques yield a similar number of and viable islets as shown with previous work in our lab and others10,22. Moreover, cannulation needle size, position, and angle will depend on the user’s preference. Specifically, a 30 G needle is used in this protocol but other sizes may be required based on strain or genetic background. For instance, BTBR mice have a very friable common bile duct and a larger gauge may provide a greater seal around the needle tip (M.E.K., personal observations). Thus, it is recommended to have blunted cannula needles of different sizes on hand during the surgery, ready to switch out if necessary. The position of the needle in the common bile duct will also greatly impact the islet yield. If the needle is placed in front of the bifurcation of the common bile duct, collagenase solution will enter the liver and result in a poor inflation. However, if the needle is placed too close to the Sphincter of Oddi, a partial pancreatic inflation will occur, decreasing the number of isolated islets. Trial pancreatic inflations with various needle sizes and locations on the common bile duct will be required to customize the present procedure and maximize islet yield. Another important component of this procedure to increase the number of viable islets is to prepare all reagents as per the protocols instructions. Gassing the buffers with 95% O2/5% CO2 to increase oxygenation can a factor in islet survival throughout the protocol. Previous work demonstrates that the oxygen concentration decreases towards the interior of the islet, potentially reducing the energy content of β-cells23. This may be evident after an overnight incubation as a dark, necrotic center will appear in cultured islets, correlating with a decrease in in vitro responsiveness. Thus, providing enough oxygen will help to increase islet number and viability during the isolation and into the overnight, normoxic incubation process. Moreover, proper preparation of the collagenase solution will enhance the digestion of pancreatic tissue and liberate the islets from surrounding tissue. If the collagenase concentration is too low, not only will the islet yield be low, but exocrine acinar tissue may remain attached to the islets, negatively affecting downstream applications. On the other hand, too high of a collagenase concentration may destroy the islets. Therefore, proper quality control measures to ensure collagenase digestion efficiency without the destruction of islets will promote greater yields. Collagenase isolated from Clostridium histolyticum is the enzyme used for liberating islets from pancreatic tissue in this protocol. The irreproducibility of enzymatic activity between different lots of collagenase has the potential to hinder the quantity and/or quality of isolated islets. In the present protocol, each new lot of collagenase enzyme goes through an internal quality control check to determine both quantity and functionality of islets before they are subject to study. Therefore, downstream applications and lot variation need to be considered when choosing an enzyme for islet isolation. Liberase® (Roche), a purified collagenase blend, is another digestive enzyme alternative that has been successful in many cases; in particular, in obtaining higher quantities of isolated islets24,25. However, the use of Liberase may not be beneficial for isolating functional islets, as it may hinder in vitro function26. Many limitations exist in the present islet isolation and cAMP determination procedures that may hinder downstream applications. As stated previously, BTBR mice have a very fragile common bile duct, which increases the difficulty of pancreatic inflation and subsequent islet isolation. Therefore, pooling islet preparations from several mice may be required, as many in vitro assays, including the described cAMP assay, require many islets per replicate. Additionally, using IBMX in the cAMP assay blocks phosphodiesterase activity, giving a read-out of cAMP production. Addition of IBMX may not be advisable in cases where the cycling of cAMP production and degradation is important for cellular signaling. However, removing IBMX from this protocol significantly lowers the final cAMP content of the islets, necessitating the addition of many more islets per replicate in order to obtain meaningful cAMP values in the EIA. The present protocol is an essential tool for an islet biology laboratory or those interested in the endocrine pancreas. The cAMP component to this protocol is just one of many in vitro experiments to understand how islet manipulation through various treatments can enhance or blunt insulin secretion. Although most research utilizing islets primarily focuses on β-cell insulin secretion, other cell types can be assessed for their dynamic relationships within the islet4. In combination with other in vitro and in vivo models, islet experimentation will shed light on mechanisms underlying devastating pancreatic related diseases such as diabetes and insulinomas. Most importantly, understanding how pharmaceutical agents directly impact islets will enhance the efficacy of the treatment and aid in the translation to an in vivo model. Authors have nothing to disclose. Cryer, P. E. Hypoglycaemia: the limiting factor in the glycaemic management of Type I and Type II diabetes. Diabetologia. 45, 937-948 (2002). Alberti, K. G., Zimmet, P. Z. Definition, diagnosis and classification of diabetes mellitus and its complications. Part 1: diagnosis and classification of diabetes mellitus provisional report of a WHO consultation. Diabet Med. 15, 539-553 (1998). Muoio, D. M., Newgard, C. B. Mechanisms of disease: molecular and metabolic mechanisms of insulin resistance and beta-cell failure in type 2 diabetes. Nat Rev Mol Cell Biol. 9, 193-205 (2008). Kelly, C., McClenaghan, N. H., Flatt, P. R. Role of islet structure and cellular interactions in the control of insulin secretion. Islets. 3, 41-47 (2011). Meda, P., Halban, P., Perrelet, A., Renold, A. E., Orci, L. Gap junction development is correlated with insulin content in the pancreatic B cell. Science. 209, 1026-1028 (1980). Hohmeier, H. E., et al. Isolation of INS-1-derived cell lines with robust ATP-sensitive K+ channel-dependent and -independent glucose-stimulated insulin secretion. Diabetes. 49, 424-430 (2000). Hohmeier, H. E., Newgard, C. B. Cell lines derived from pancreatic islets. Mol Cell Endocrinol. 228, 121-128 (2004). Field, J. B. Extraction of insulin by liver. Annu Rev Med. 24, 309-314 (1973). Emmanouel, D. S., et al. Glucagon metabolism in the rat. J Clin Invest. 62, 6-13 (1978). Kimple, M. E., et al. Deletion of GalphaZ protein protects against diet-induced glucose intolerance via expansion of beta-cell mass. J Biol Chem. 287, 20344-20355 (2012). Rabaglia, M. E., et al. Alpha-Ketoisocaproate-induced hypersecretion of insulin by islets from diabetes-susceptible mice. Am J Physiol Endocrinol Metab. 289, 218-224 (2005). Collins, S. C., Salehi, A., Eliasson, L., Olofsson, C. S., Rorsman, P. Long-term exposure of mouse pancreatic islets to oleate or palmitate results in reduced glucose induced somatostatin and oversecretion of glucagon. Diabetologia. 51, 1689-1693 (2008). Fueger, P. T., Hernandez, A. M., Chen, Y. C., Colvin, E. S. Assessing Replication and Beta Cell Function in Adenovirally-transduced Isolated Rodent Islets. J Vis Exp. (2012). Szot, G. L., Koudria, P., Bluestone, J. A. Murine pancreatic islet isolation. J Vis Exp. (2007). Szot, G. L., Koudria, P., Bluestone, J. A. Transplantation of pancreatic islets into the kidney capsule of diabetic mice. J Vis Exp. (2007). Zmuda, E. J., Powell, C. A., Hai, T. A method for murine islet isolation and subcapsular kidney transplantation. J Vis Exp. (2011). Kimple, M. E., et al. A role for G(z) in pancreatic islet beta-cell biology. J Biol Chem. 280, 31708-31713 (2005). Shaw, J. E., Sicree, R. A., Zimmet, P. Z. Global estimates of the prevalence of diabetes for 2010 and 2030. Diabetes Res Clin Pract. 87, 4-14 (2010). Kirstetter, P., Lagneau, F., Lucas, O., Krupa, Y., Marty, J. Role of endothelium in the modulation of isoflurane-induced vasodilatation in rat thoracic aorta. Br J Anaesth. 79, 84-87 (1997). Brown, E. T., Umino, Y., Loi, T., Solessio, E., Barlow, R. Anesthesia can cause sustained hyperglycemia in C57/BL6J mice. Vis Neurosci. 22, 615-618 (2005). Vaupel, D. B., McCoun, D., Cone, E. J. Phencyclidine analogs and precursors: rotarod and lethal dose studies in the mouse. J Pharmacol Exp Ther. 230, 20-27 (1984). Davis, D. B., et al. FoxM1 is up-regulated by obesity and stimulates beta-cell proliferation. Mol Endocrinol. 24, 1822-1834 (2010). Dionne, K. E., Colton, C. K., Yarmush, M. L. Effect of hypoxia on insulin secretion by isolated rat and canine islets of Langerhans. Diabetes. 42, 12-21 (1993). Linetsky, E., et al. Improved human islet isolation using a new enzyme blend, liberase. Diabetes. 46, 1120-1123 (1997). Vaithilingam, V., Sundaram, G., Tuch, B. E. Islet cell transplantation. Curr Opin Organ Transplant. 13, 633-638 (2008). Brandhorst, H., et al. Large-scale comparison of Liberase HI and collagenase NB1 utilized for human islet isolation. Cell Transplant. 19, 3-8 (2010).